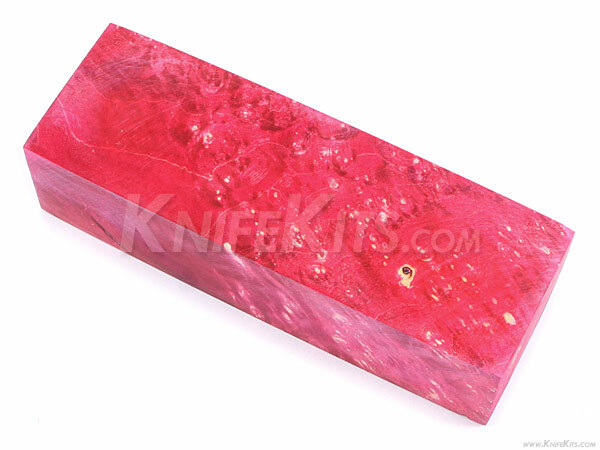 Add the maximum professional look to your next knife handle project with this dyed and stabilized, presentation grade, maple burl handle block. This block was hand selected for its beautiful look and grain. You can easily yield two or more scale sets from each block. 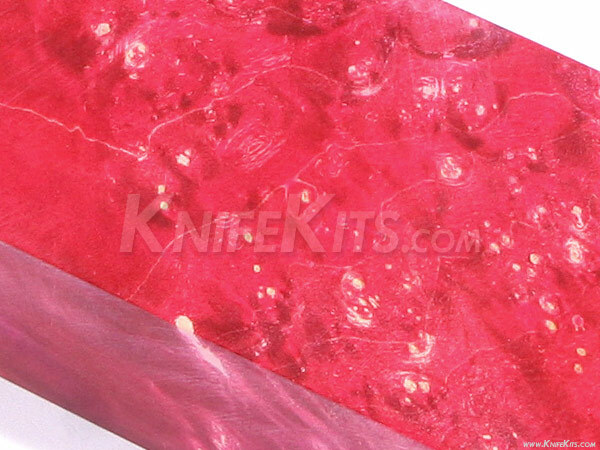 Gun handle makers also like and use this material. Note: These are actual images of the maple burl block being sold.